What is the Toyota Supra Release Date? The first 2020 Toyota Supra was auctioned, to the tune of 2.1 million, on January 19th, 2019. An additional 1,499 Toyota Supra Launch Edition models will be made available across the U.S. this summer, and Toyota is currently accepting orders. The release date for later editions of the Toyota Supra will be announced closer to their appearance at local dealerships. If you’re hoping to find a Toyota Supra for sale in the near future, it’s a good idea to act proactively and get in touch with Westbrook Toyota today! What is the Toyota Supra Price? Includes 6.5-inch display, faux-suede power seats with memory, adaptive dampers, rain-sensing windshield wipers, and a forward collision warning with automated emergency braking. With only 1,500 new Toyota Supra models on sale this summer, there’s a chance that these models could sell for higher than their official starting prices. Contact Westbrook Toyota near Madison for more information. 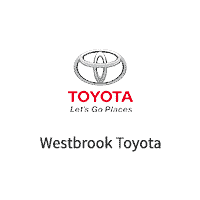 Keep Up with Westbrook Toyota for More! The team at Westbrook Toyota couldn’t be more excited for the release of the 2020 Toyota Supra, and we’ll be sure to keep our readers updated whenever we learn more. If you just can’t wait to experience Toyota performance for yourself, test drive a new vehicle, like the Toyota 86, today!